Bushfires: have you treated your risks? Taking simple precautions can make a difference when it comes to bushfire resilient communities. The elemental power and intensity of bushfires can wreak widespread destruction beyond our abilities to control them. However, we can make ourselves much safer during the bushfire season, and it’s not just about cleaning the gutters. The resilience of a house or a community revolves around the interaction between the design of the structure itself, the natural environment in which the community is located, the behaviour and habits of the human occupants, and the overall planning and layout of the community. Planning for emergencies, and empowering people to take responsibility and action, can make a significant difference when it comes to bushfire resilience. Despite numerous media campaigns raising awareness about protecting your home from bushfires, the message still seems to be getting lost along the way. There is a common perception that bushfires are unpredictable and out of our control. While this may be true to some extent in the midst of an “event”, the reality is that bushfire risks are highly specific to particular environments and they can be assessed and addressed. While we usually can’t predict what day or even year a serious fire might occur in a given place, we can determine how risky certain locations and houses are. Proximity to a forest or other vegetation remains the single greatest risk factor associated with bushfires. In simple terms, roughly 50% of documented deaths since 1901 have been within heavily vegetated areas or up to ten metres away. We all know location is important when choosing a home, however urban planning can play a large part in reducing the risk of bushfire disasters. Communities that incorporate large breaks, like roads or sports ovals, between populated areas and vegetation can help to interrupt the path of a fire in many circumstances. Moreover, the additions of these ‘breaks’ are functional and benefit the community outside of bushfire protection. Ensuring towns have multiple access points is crucial, both in terms of a successful evacuation and in terms of emergency services being able to access fire affected areas. 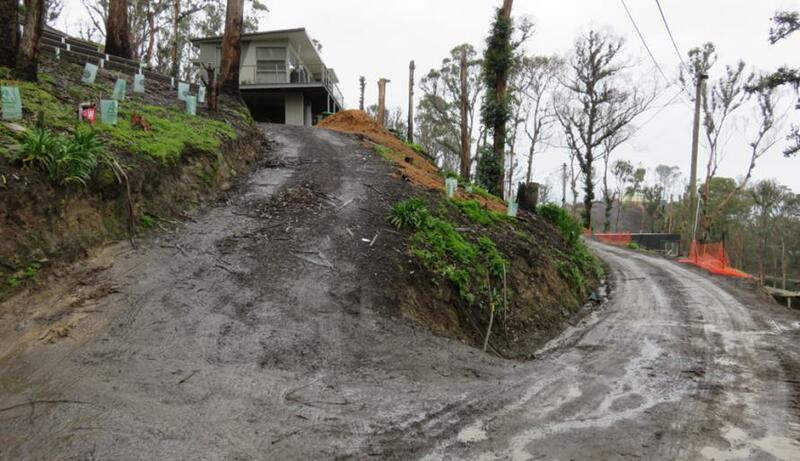 Many houses lost in the Wye River fires were located on steep inclines, only accessible from sharply winding roads which made access for emergency services extremely difficult, if not impossible. Contact your local fire authority. They help residents with their fire plans year-round and you don’t need to wait for the start of summer. Ask how risky the area your home or holiday house is located in is, then if appropriate, ask for help in preparing your family’s fire safety plan, and any work that might improve risky aspects of your home. You can improve risk profiles significantly by taking action now. Whilst many of us have heard the message before, people must act on this to reduce their risk. While proximity to vegetation remains the most important factor, the design characteristics of dwellings in their surroundings are also key to their riskiness. On the whole, older buildings are more vulnerable. This is partly because of traditions of building, the limited regulations applied to older homes, and the challenges associated with maintenance - including gardens and outbuildings. Add to this that many older structures are made of wood, and have raised floor platforms allowing embers to be blown underneath floors. Other factors are thin glass in poorly maintained windows, possibly at floor level near garden plants so windows subsequently fail under heat duress. You need to assess and act on this by clearing vegetation and other fuels or by changing the glass with the guidance of a qualified practitioner. Since ember entry into buildings is one of the most common causes of house destruction, repair or modify your home’s windows, roof, sub-floor or deck. Above all, resist storing combustibles near the home – this may seem obvious, but is such a large issue that WA had to introduce specific legislation to address this, and Victoria may be heading in the same direction. In general, new structures or those that have undergone significant change must meet current regulatory bushfire design codes and regulations, based in the first instance on Bushfire Attack Level (BAL) standards. 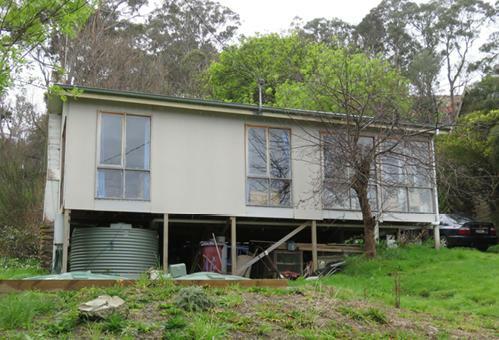 Compliance with the relevant BAL is part of gaining a building permit and significantly improves chances that a house will survive a bushfire, so engaging a reliable and qualified building practitioner is paramount. However, how can we ensure that newer owners of older homes are fully aware of the risks? If government policy changed to require bushfire risk assessment of relevant homes when they change hands, it would encourage homeowners to understand and take responsibility for reducing risks, and would, in turn, help to alleviate the burden on emergency services likely to be stretched thin in a disaster. The temporary population of a holiday town on the coast during summer will be far less prepared for bushfires compared with a permanent population such as that in a farming area or those that are engaged with response authorities in ongoing volunteer or permanent roles. This is particularly pertinent given the increasing number of middle-class Australians seeking a “tree-change” lifestyle, who likely do not have a history of personal experience with bushfires. Moreover, while many people have significant capabilities to prepare and react to the intensely challenging decision process and actions associated with a major bushfire event, their capabilities will usually decline over time, mainly associated with ageing. General maintenance of houses, reduction of vegetation around buildings, resisting the tendency to store flammables next to or under homes (for example, wood piles, gas bottles or vehicle fuels), and keeping emergency plans up to date are vital over time. There have been more than 50 formal inquiries into bushfire management in south-eastern Australia since 1939, but what lessons have we learned?